Fresh off the press from Boeing themselves, Vietjet has just placed a massive order for 100 737 MAX Aircraft! The deal was witnessed by both US President Donald Trump and Vietnamese President Nguyen Phu Trong. Vietjet already has an order for 100 737 MAX Aircraft on the Boeing order book from 2016 (and 115 Airbus A321neos too). This new deal doubles the amount of Boeing aircraft on order to a frankly ridiculous amount. Specifically, this deal is for 20 Boeing 737 MAX 9 and 80 larger Boeing 737 MAX 10 aircraft. The Boeing 737 MAX 10 has been earmarked as a rival for the Airbus A321neo, with the MAX 10 having 5% less cost per passenger than the Airbus equivalent. The first flight of this aircraft is scheduled for June 2020. Vietjet is the leading low-cost carrier in Vietnam and operates a fleet of 64 aircraft. They are currently an all Airbus airline, with 23 A320-300s, 32 A321-200s and 7 A321neos (with another 115 on order). This new order will obviously sextuple (6x) the size of their active fleet. 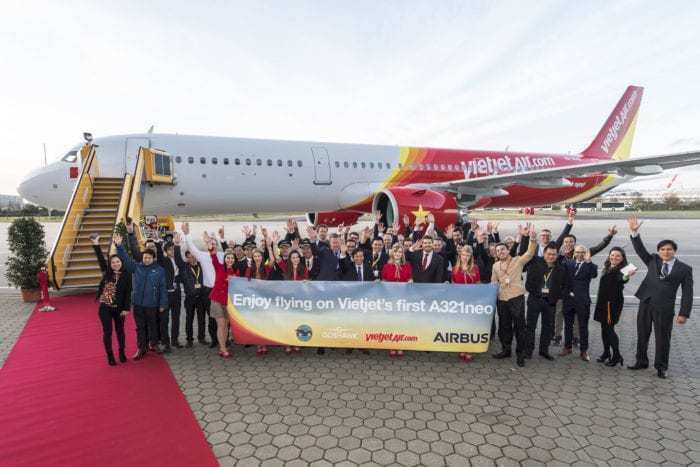 With the very profitable (per passenger) 737 MAX 10 aircraft, Vietjet plans to deploy extra capacity on domestic routes as well as expand internationally. They may even become a competitor to Air Asia, which is the dominant low-cost carrier in the Southeast Asia airline marketplace. The order itself is worth around $12.7 Billion USD in aircraft list prices, but as we mentioned in this article, it is unlikely that Vietjet paid anything even remotely close to that. 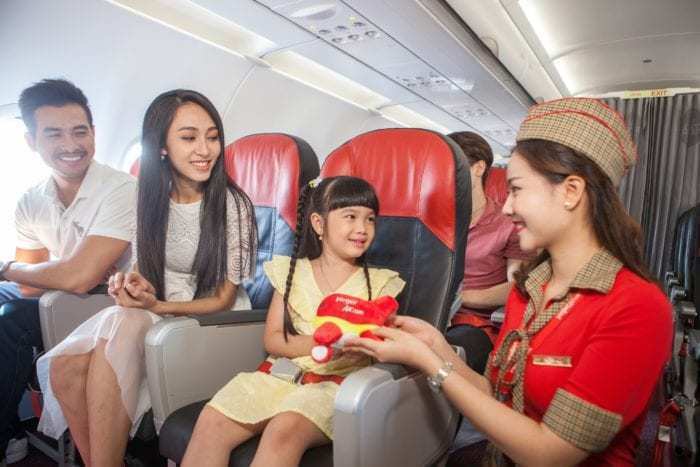 Vietjet focuses on low-cost tickets with good service. They are also the airline famous for their ‘bikini’ flight attendants. Source: Vietjet. “We are pleased to expand our partnership with Vietjet and to support their impressive growth with new, advanced airplanes such as the 737 MAX. 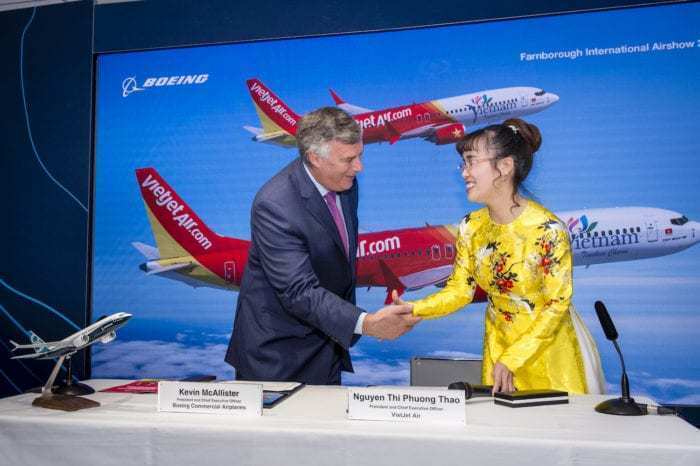 We are confident the MAX will help Vietjet grow more efficiently and provide great travel experiences for their passengers,” – Boeing Commercial Airplanes President & CEO Kevin McAllister. Overall, this is a pretty interesting indicator of just how big the Vietnam aviation industry is. The fact that just one of many carriers in the country sees fit to order so many jets (which the first would start to be replaced before the last is delivered) is really telling on just how much the region is about to explode with competitive flight options. What do you think? Is this a good thing for the Vietnam aviation industry? Instead of the billions spent on expanding her fleet, she could use that $ helping the poor building the schools for the villages, prospering economy has to be one that can bring enough foods, affordable healthcare and equally distributed education, with a balanced government control.